Terra, Taffet's Gluten-Free Bakery and Tonya's Gluten Free Kitchen (with those incredible soft pretzels) have joined the roster at Appetite for Awareness on September 23 in Center City Philadelphia. Now through July 27, Gluten Free Philly readers can save $15 off the price of each adult admission by using promotion code MIKE at the ticket ordering page. This discount can be combined with other tickets; for example, two discounted adult tickets and two children's tickets would be $110 (versus the $125 four-ticket family package). The cost of the tickets may also be tax deductible as a charitable donation. Restaurateur Stephen Starr's German concept in Fishtown, Frankford Hall (1210 Frankford Ave., 215-634-3338), has many gluten-free menu options. They include salads, all sausages, beef and salmon burgers without the roll, and sides such as sauerkraut, red cabbage and German potato salad. Estrella Damm Daura lager and Doc's Apple Cider are available in bottles. 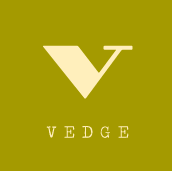 The highly acclaimed Vedge in Washington Square West (1221 Locust St., 215-320-7500) has a gluten-free dinner menu. Vedge chef and co-owner Rich Landau also consulted on the menu at new fast-casual HipCityVeg (127 S. 18th St., 215-278-7605). Gluten-free items there include the Chopped Med Salad, Aruglua Taco Salad, Asian Salad, Curry Tofu on a bed of spinach, and the Bistro Bello on arugula. The Red Store in Cape May Point (500 Cape Ave., 609-884-5757) is a gourmet market with "a fresh country charm," writes Philadelphia Inquirer food critic Craig LaBan. Most items on the menu there can be made gluten free, including breakfast sandwiches on gluten-free rolls. Chef Mark Chopko's gluten-free crab cakes again took top honors in Delaware Today's Best of Delaware awards. They're on the menu at the Courtyard Café, inside the Courtyard by Marriott in Newark (400 David Hollowell Dr., 302-737-0900). You can read about our recent Road Trip to the Rehoboth Beach area in Tuesday's post. All of the restaurants mentioned are also included in my Delaware gluten-free dining guide. Red Mango will soon be dishing out its certified-gluten-free frozen yogurt in Center City at 1425 Locust Street. The chain just opened its second area location in Wayne (150 E. Lancaster Ave., 484-367-7581). All but four of the fro-yo flavors at U-Swirl in Jenkintown (817 Old York Rd., 215-572-8100) are gluten free, and the staff will get fresh toppings "from the back" upon request. Kettle Cuisine is discontinuing its line of gluten-free single-serve frozen soups due to a lack of sales, but the soups will still be in markets until stocks run out. This week's offer at the Gluten Free Saver deals site is $25 for $40 worth of groceries at GlutenFreely.com. Orders over $75 qualify for free shipping. The Mansion in Voorhees (3000 Main St., 856-751-1717) is hosting a gluten-free cooking class and dinner on Tuesday, July 24 at 6 p.m. The cost is $29.95 per person exclusive of tax and gratuity. Call for more information and reservations.